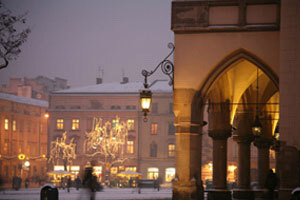 Kraków, Poland’s second-largest city, appeals with its beauty and rich history. The strong growth of air travel from Polish cities since the country’s EU accession is well-documented. Several further city pairs indicate considerable viability. Poland’s cultural capital: This is the most important centre of tourism in Poland, visited by over 7 million tourists annually. 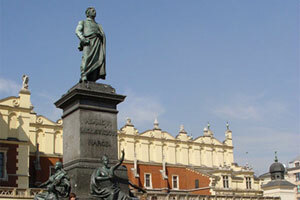 Foreign investment exceeds the average figure for Poland. 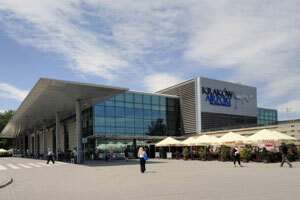 City of Krakow and Małopolska Region offer cooperation with airlines opening new destinations. Advertising – terminal, web page, airport magazine, printed timetable, etc. Events – PR activities, e.g. inaugural flights, press conferences, study tours, etc. Cooperation with city, region, local organizations, agencies, institutions, etc. 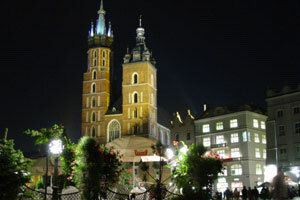 Kraków itself is a city of 800,000, but this is an intensively populated region – almost 8 million people live within 90 minutes of the airport. 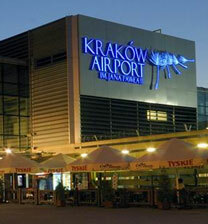 Catchment area – Kraków Airport’s activities directly cover approximately 7.9 million inhabitants living in the radius of c.a. 90 minutes driving time. 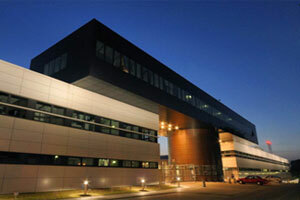 Krakow region is a huge logistic centre for the southern Poland. Leading world-wide companies (e.g. Philip Morris, RR Donnelley, Pliva, Arcelor Mittal, Carlsberg, Valeo, Delphi, MAN) as well as the local ones demand professional freight services. It is still under-served market with great opportunities for further development. 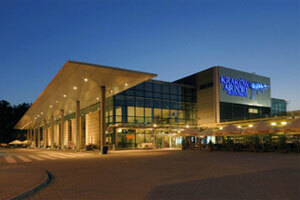 Kraków Airport has a 6,200 m2 cargo terminal with an annual capacity of 13,000 tonnes. 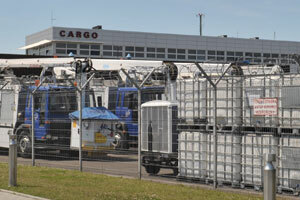 Its basic function is forwarding and storing of cargo carried by air in international and domestic traffic. 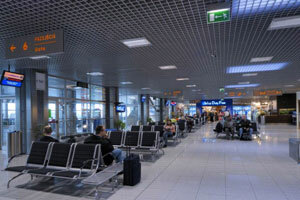 Situated only 400m from the A4 motorway, the terminal is protected with CCTV, electronic access-control system, fire-fighting and other systems. 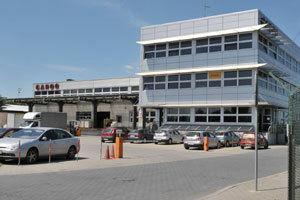 Logistic companies located at Krakow Airport Cargo Building: DHL, LOT Cargo, Ipsen, C. Hartwig, DSV Air & Sea, Expeditors, M&M Air Cargo Service, YUSEN Air & Sea Service. 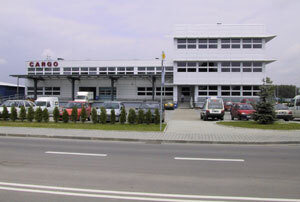 Kraków Airport is situated only 11 km from the centre of Kraków. 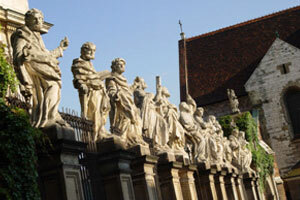 The excellent location of the airport makes it also a perfect starting point for sightseeing in plenty of interesting places surrounding Kraków. City centre – 11 km. A4 motorway junction – 400 metres. Train to the city centre – operations every 30 min. / duration: 15 min. Runways: One hardened runway in the direction 07–25, which is 2,550 m long and 60 m wide. Both terminals are fully air-conditioned and prepared for handling of disabled passengers. 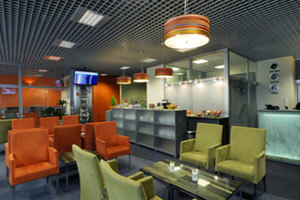 Passengers have access to duty-free shops, rent-a-car offices, tourist and airport information point, restaurants and bars, bank and currency exchange offices, business lounge and VIP lounge, wireless Internet (WLAN). Streams of arriving and departing passengers in international terminal are separated for Schengen and Non-Schengen traffic.